When your itinerary includes a zoo, an art museum and a battleship, you know you’re in for something special. 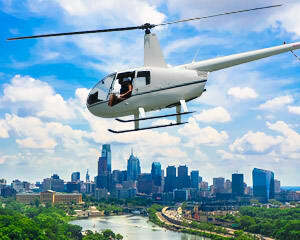 Take a helicopter tour over Philadelphia today. The Birthplace of America has so much to offer when appreciated from above the clouds. And don’t forget the camera! Your pilot is well acquainted with accommodating aerial photographers, so if you’re a shutterbug, know that this flight guarantees the perfect shot!